In some cases, it may be appropriate to engage members of the advocacy network in election-related activities. Note, however, the restrictions on election-related activity discussed in Chapter 2. Nonprofits organized under certain IRS “501” designations, in particular, may not engage in partisan election activity, such as endorsing a particular candidate for office. Individual states and localities may also have restrictions of which advocate leaders should be aware. Members of the U.S. House of Representatives are up for election every two years and U.S. Senators must stand for election every six. In addition, most states and localities have elections for various state and local offices at least every other year. Some localities have elections every year for both candidates as well as to address ballot questions, such as sales tax or funding initiatives. Any election offers an opportunity to engage advocates, to the extent allowed by law. Advocate leaders should consider, though, which level of government the organization hopes to build relationships with and choose the election cycle for participation carefully. As noted in Chapter 1, advocacy efforts should be coordinated in tandem with other government relations activities, include political action committees (PACs). In fact, organizations will generally find a great deal of overlap between the most active and committed members of their advocacy network and the most consistent donors to their political action committees. This section provides a few details on PACs and how they can be successfully integrated into an overall advocacy network plan. Organizations form Generic Cialis PACs to finance political education and to make contributions toward the election or defeat of candidates. They can contribute up to $5,000 per cycle per election to a candidate’s committee and $15,000 to national political parties. They may receive up to $5,000 from individuals. Political action committees can also be formed at the state level. Rules for establishing state PACs vary from state to state. 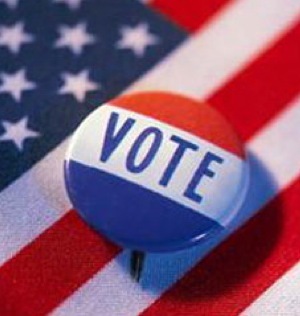 Organizations should look to their state’s Board of Elections for more information. Overall, political action committees allow organizations to support the election of candidates who support their issues. Some advocate leaders suggest that PAC contributions give advocates and government relations staff better access to policymakers, in that advocates will have the opportunity to attend fundraising events and be seen as supportive of the candidate. Political action committees can also enhance an organization’s advocacy activities and vice versa. By coordinating existing programs or forming a new PAC to complement an advocacy network, organizations can reduce duplication, reach out in a more focused, targeted manner to politically active network members and possibly reduce overhead and cost. Any organization that already has a PAC should look for opportunities to, at a minimum, coordinate and possibly merge activities. Organizations with advocacy networks but no PAC should determine whether a PAC would assist in meeting legislative and policy goals. All lobbyists listed on LDA registration and reporting forms (LD-1 & LD-2) must file and certify their LD-203 Form TODAY, Friday, July 30. Get that last minute paperwork in to the Secretary of the Senate and the Clerk of the House. 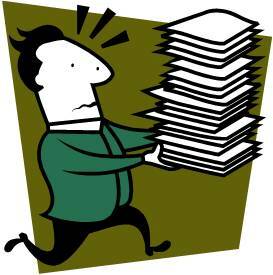 Need to catch up on what’s required in your filing? Check out the Lobbying Compliance Handbook for easy-to-use, practical compliance advice and legal analysis. All federally-registered (more on that here) lobbyists must file and certify their LD-203 form next week. The form is due July 30, and there is no extension available. First time filer? Take a tutorial here at the Senate’s site. Interested in researching previous filings? Downloadable and searchable databases are here. Take time to read the House and Senate gift and ethics rules, since you must certify that you have read, understood, and abided by those rules.